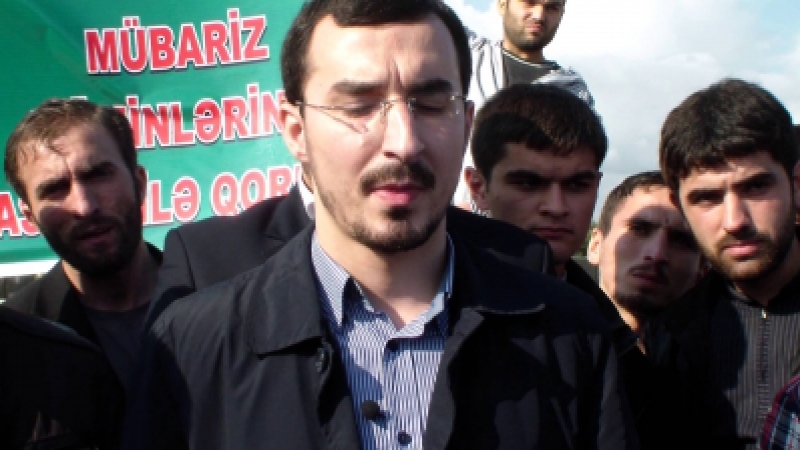 Muslim Unity Movement chairman, Shaykh Tale Baqirzade, being held in detention (and subsequently tortured) by the US/Israeli-sponsored proxy regime of Ilham Aliyev in Azerbaijan. The Azerbaijan embassy in the US recently held a Hanukkah party celebrating religious freedom and diversity (! ); the not-so publicized, “by invitation only” event was co-sponsored by the Conference of Presidents of Major Jewish Organizations in the United States. 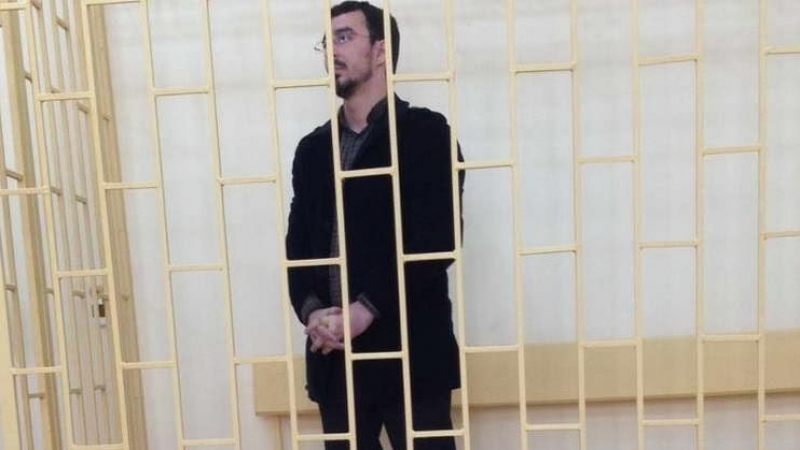 Whereas the Aliyev regime’s brutal crackdown of Islamic activists has failed to cow them down, it will in fact result in the shortening of the regime’s shelf-life. The Aliyev regime’s excessive brutality, combined with economic decline makes a civil war in Azerbaijan a distinct possibility. More than a year ago (November 26, 2015), armed members of the dictatorial regime entered the village of Nardaran and attacked the home of a local resident. Six people were killed in the attack. 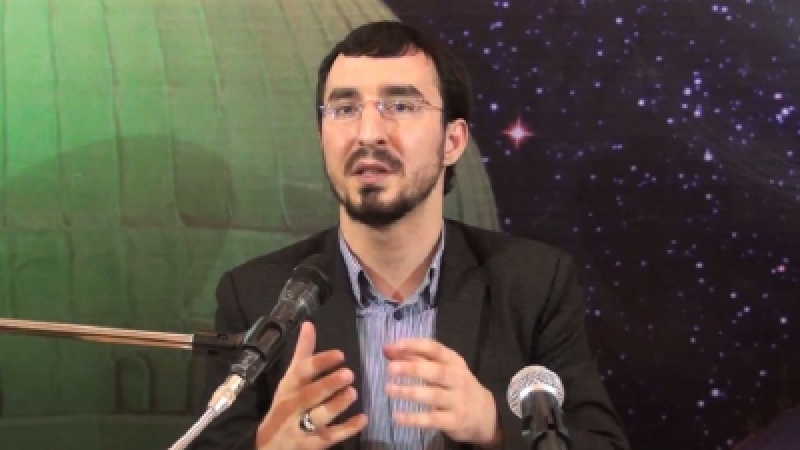 This event marked the beginning of the process of a brutal crackdown against the Muslim Unity Movement (MUM) in Azerbaijan Republic, during which its chairman, Shaykh Tale Baqirzade (also spelled as Taleh Baqirzadeh) was arrested and subsequently tortured in jail. During the initial phase of the crackdown, the Aliyev regime arrested more than 70 activists of the MUM. Since then, the regime has attempted to showcase its kangaroo court case against Shaykh Bagirzade as a fight against “terrorism.” This is now a popular tool used by all oppressive regimes against their opponents. Barbaric torture, which was revealed beyond reasonable doubt by arrested MUM members and acknowledged by local and international organizations, gave unprecedented moral high ground to the Islamic movement and propelled it to the socio-political leadership amongst all opposition groups. Usually when the regime arrests its political opponents, the criticism by those opponents either gets toned down due to torture or a “compromise” is reached with the regime in order to escape brutal torture. The MUM broke with this unwritten rule and increased its criticism of the regime by publicly challenging the legitimacy of the ruling family and exposing its brutal and corrupt governing practices. To maintain the upper hand, the regime was forced to arrest witnesses who retracted confessions obtained under torture, along with arresting family members of Abbas Huzeynov, a leading figure of MUM. This produced a completely opposite reaction to what was expected and further unified secular opposition groups behind the MUM leadership. 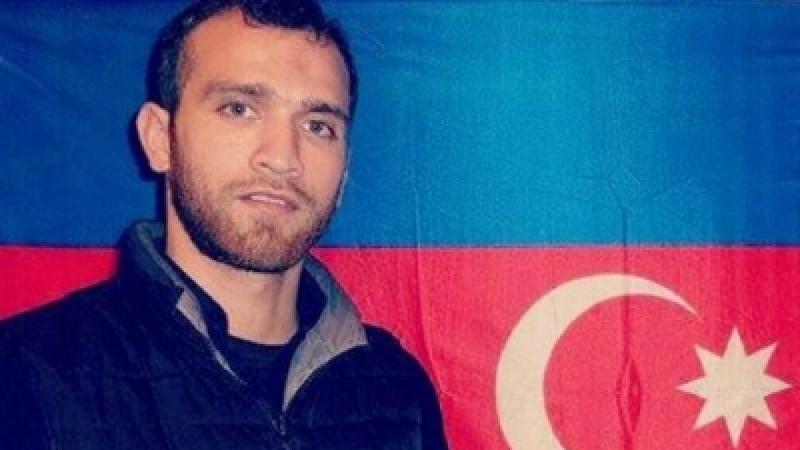 While these are the short-term effects of the brutal attack in Nardaran and subsequent arrests, there are also long-term ramifications for Azerbaijan. The primary long term consequence is the alteration of the benchmark of what constitutes and defines opposition to the Aliyev regime. November 2015: Berlin based Azeribaijani news station MeydanTV interviews people affected by the raid in Nardaran. Prior to the brutal attack and crackdown in Nardaran, the mainstream socio-political opposition groups only indirectly criticized the ruling family or tended to avoid even that. After MUM members broke with this imposed framework, other opposition groups have been forced to criticize the regime in harsher terms in order not to lose followers to the Islamic movement and to maintain some credibility as genuine opposition. Also, after the killings in Nardaran, while the Aliyev regime managed to reduce the frequency of opposition activity of the Islamic movement, this achievement appears short-lived. There are clear manifestations that when the socio-political situation for altering the status quo ripens, it will be the Islamic movement that will exercise influence over the masses. This was clearly demonstrated during this year’s ‘Ashura marches. The Aliyev regime did everything it could to ban and limit ‘Ashura activities. Police raids, military checkpoints, detentions, and threats were used to deter people from participating in the commemoration ceremonies of Imam Husayn’s (ra) martyrdom. Nevertheless, the masses heeded the call of the Islamic leadership and mass marches were held in almost every town in Azerbaijan. When observed properly, ‘Ashura ceremonies can act as a powerful wake-up call for the oppressed people to rise fearlessly against their oppressors. The rise in influence of the Islamic movement over the masses in Azerbaijan has also been acknowledged by a secular academic and activist, Arif Yunus, during his speech to the European Parliament. Within the Islamic movement itself, it is no longer enough to speak about Yazid ibn Mu‘awiyah and Imam Hussein (ra) in historical terms. Muslim congregations in Azerbaijan now expect their scholars to identify the ruling regime as the Yazid of the modern era and define the MUM as sincere and dedicated followers of Imam Hussein (ra). This phenomenon has annulled the efforts of the regime to build a credible caste of loyal ‘ulama. As the economic situation in Azerbaijan continues to deteriorate due to collapse of the national currency, extreme mismanagement and corruption, accompanied by the regime’s excessive brutality, the eruption of civil war continues to be a real possibility. Responsibility for such an outcome will rest squarely on the shoulders of the tyrannical regime that refuses to heed the demands of the people.